The Kingsmen formed in Portland, Oregon in 1959. As young teenagers, they played high school parties, teen dances, supermarket openings and fashion shows. Like many fledgling bands of the day, they copied what they heard on the radio: Elvis, The Ventures, country music, R&B and the burgeoning Northwest Sound. They became one of the most popular bands in the Portland area. The band started recording in 1963. 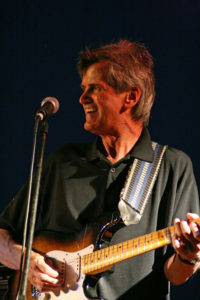 Their first effort was “Louie Louie”, a song played by virtually all Northwest rock & roll and R&B bands, and an original instrumental, “Haunted Castle”. The session, costing $36 at Portland’s Northwest Recorders, produced a tape used to audition for a job on a cruise ship bound for Australia. The cruise line hated it! Jerry Dennon, a record producer in Seattle, pressed a few hundred copies on his regional label, Jerden. Northwest music fans were already familiar with “Louie” as released by Richard Berry (1956) and the Wailers (1961). Somehow, the Kingsmen version found its way to the East Coast, where a couple of Boston stations played it, generating a huge response from listeners. Jerry Dennon entered into an agreement with New York’s Wand label for immediate mass pressing and distribution. Wand worked the record effectively and “Louie” rapidly broke out in several markets, climbing the charts. As it began to drop in popularity, a controversy regarding the lyrics spread across America. The record was banned from sales and airplay in Indiana and elsewhere because teens countrywide thought the recording was riddled with obscene lyrics. 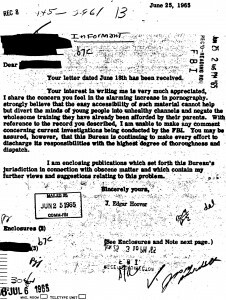 Which, of course, stimulated even more interest; so much so that the FBI investigated the band following them as they crisscrossed the country for over a year until the recording was deemed “unintelligible”. Subsequently, Wand reissued “Louie” in 1964 (and in 1965 and 1966). The record reached #2 in Billboard and #1 in Cashbox. The band’s first LP resulted from a live recording in 1963 at The Chase, a teen nightclub in Milwaukee, Oregon (production costs were less than $800). “Money”, their second Wand single was taken from the live LP. Many more releases followed. 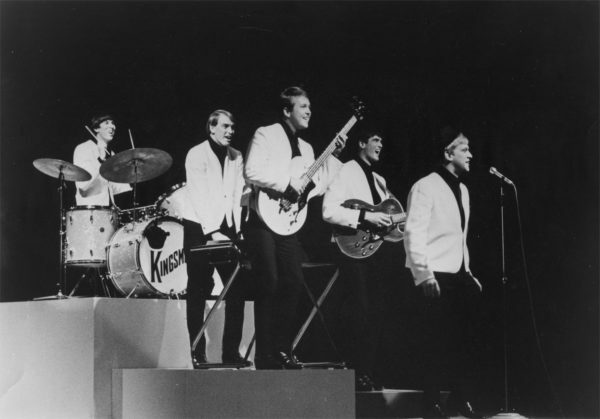 At one point, the Kingsmen had two singles and three LPs on the charts at the same time. They became the #1 touring band in the United States. In 1965, during a series of one-nighters, they set fifty-six consecutive attendance records in colleges, ballrooms, arenas, state fairs, and community dances. Many promoters used the Kingsmen as a promotional gimmick to “repel” the British Invasion (a joke to the band, as they loved that music). They appeared in concert and on television with the Rolling Stones, Zombies, Kinks, Searchers, Peter and Gordon, Chad and Jeremy, Dusty Springfield, and others; and North American acts such as the Beach Boys, Righteous Brothers, Four Seasons, Isley Brothers, Guess Who, Turtles, Shangri-Las, Byrds, Lovin’ Spoonful, Knickerbockers, and all their Scepter/Want label mates. They were featured on the top TV music shows including Shindig, Hullabaloo, American Bandstand, Lloyd Thaxton, Where The Action Is; and in the beach party movie, How to Stuff a Wild Bikini. With two breaks (during the psychedelic and disco eras), and several personnel changes along the way, they have performed ever since at concerts, corporate events, beach parties, and “Louie Louie” parades throughout North America. To clear the record, from 1968 to mid-1969 we authorized our management to tour a Kingsmen group on the road, while we were on sabbatical. We auditioned and selected approved artists. Yank Barry was the approved lead singer of that group. That group was legal, and was officially The Kingsmen, with our knowledge, support, and approval. 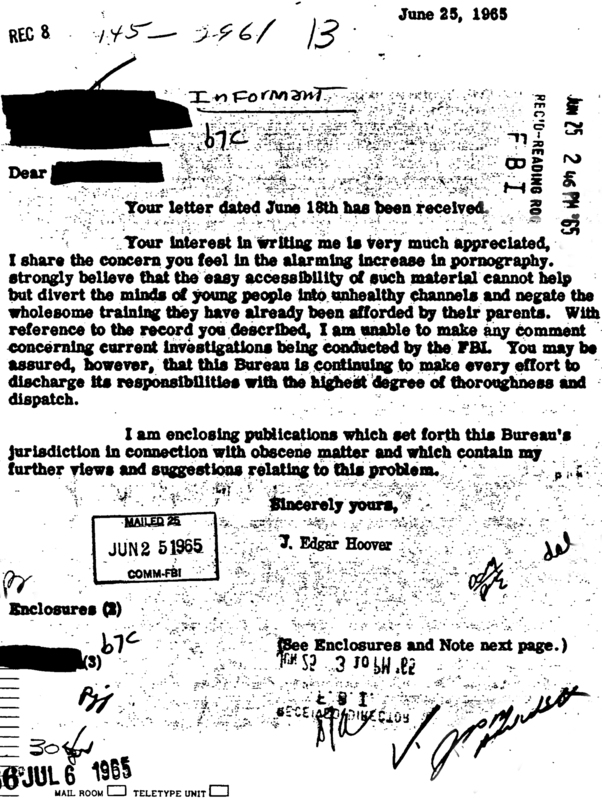 Towards the last quarter of 1969, when management did not pay our owed royalties and “Use of Name” fees, we proceeded to issue a cease and desist to our management. Only at that point in time was the group unauthorized. Yank Barry has raised millions of dollars for charities worldwide. From time to time Yank joins us for a fun evening with the band.